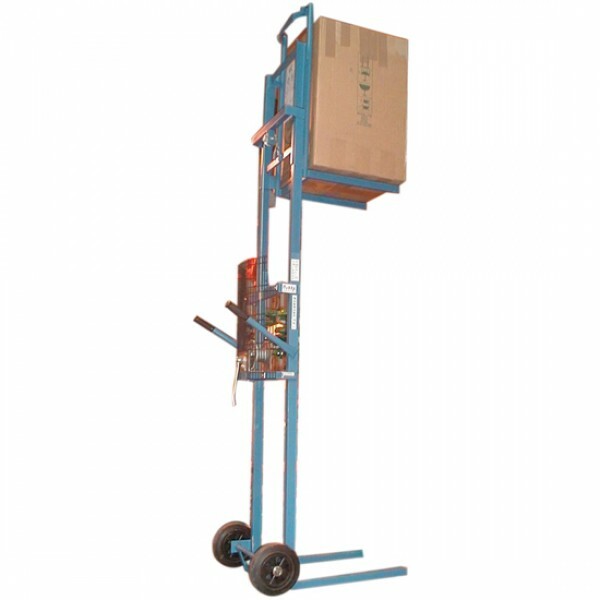 The Kentruck LD150 light duty stacker is the ideal solution to countless handling problems which are regularly encountered in all areas of business. 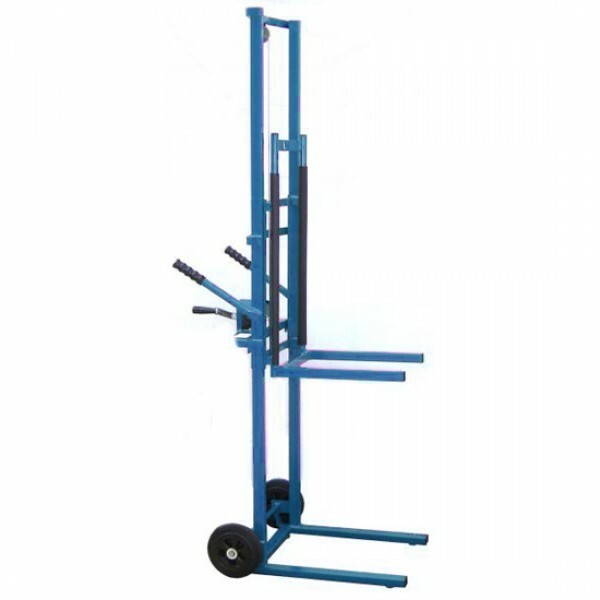 As a sack barrow, the truck is fitted with large diameter, rubber tyred wheels to make movement easy and light even over rough ground. 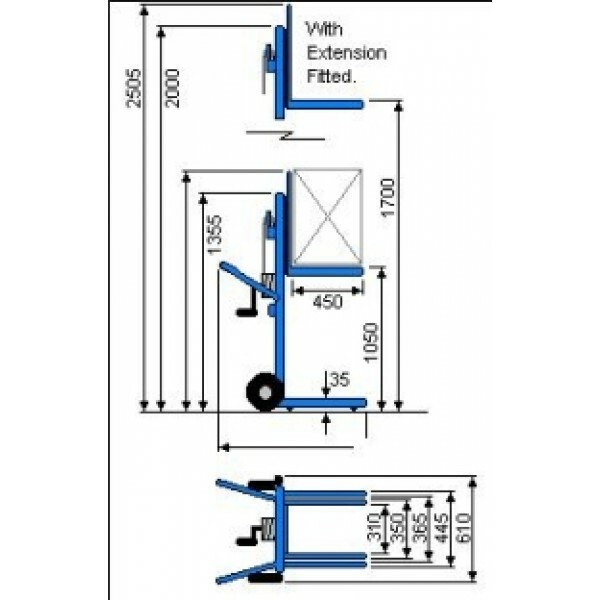 In its upright position as a stacker, the LD150 is fitted with ball rollers which allow the machine to turn on the spot to allow access to the tightest spaces. 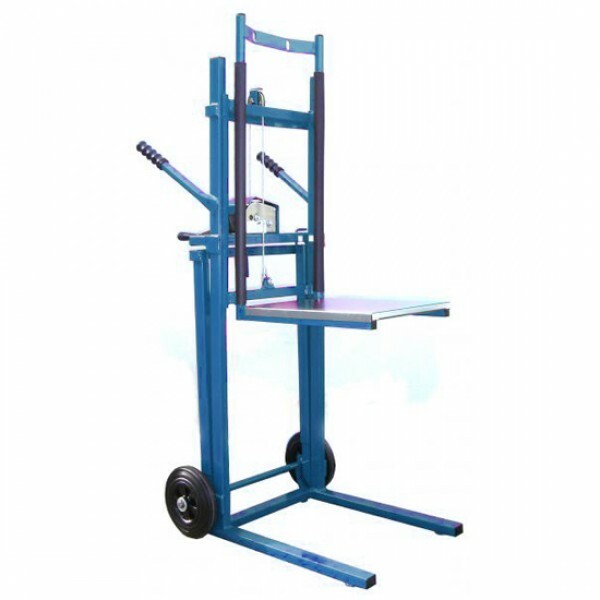 Lifting and lowering is carried out by a hand winch with clutch mechanism this method of operation means that there are no hydraulics, keeping the machines weight to a minimum and, with no possibility of leakage, there is no problem with use in offices. Although a lightweight machine, weighing in at just 37 Kg the LD150 is no lightweight when it comes to performance having a lifting capacity of 150 Kg.